In Camping Village Africa you will find Bungalows Two and Three room Bungalows. The two-room bungalow has an area of 25 square meters consisting of porch, the three-room bungalow has an area of 42 sqm including the veranda. 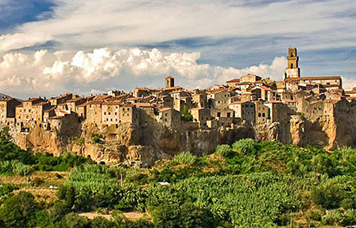 After breakfast in the exciting Camping will be a visit to the medieval villages of Capalbio, Magliano, Montemerano, Pitigliano and Sovana, where you can still taste the local wines and classic Tuscan dishes. The pitches are mostly shaded. The entire pitch rate includes current connection; animation for adults and children and parking cars in storage facility. A few steps from the camping area there is a beach of fine sand with a beautiful pine forest behind it. It is ideal for sunbathing and long walks along the shore. Traditional recipes with the fishes caught in the Lagoon of Orbetello or in the sea of Argentario. Camping Village Africa is also equipped with a small market where you can find local products. 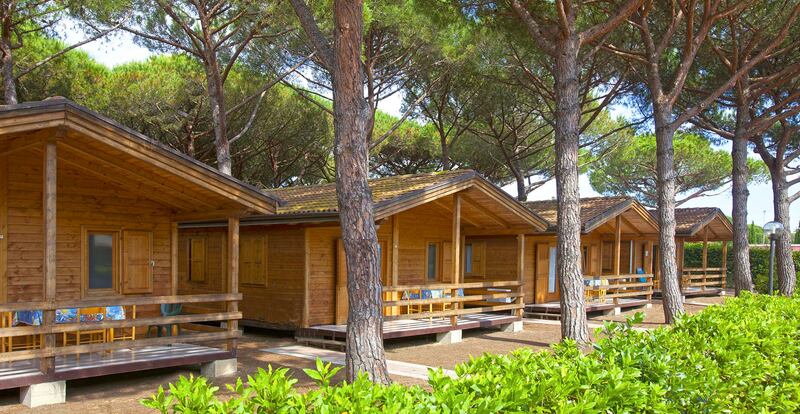 Leaving from the camping is possible to explore several hiking trails leading on the beautiful Etruscan Coast and in the historic villages on the hills. Tennis and football courts with night lights are always available to guests. Is possible to participate to acquagym lessons or start jogging, cycling and walking along the local bike lane. Camping Village Africa has an entertainment service for its guests. It is fun but never intrusive, suitable for adults and children. 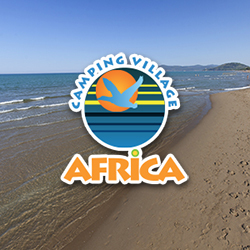 Always caring about the needs of its younger guests, Camping Village Africa has a great playground and a baby club service for kid over 3 years old. 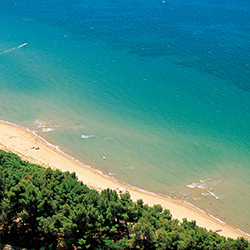 Experience a memorable holiday in Maremma! 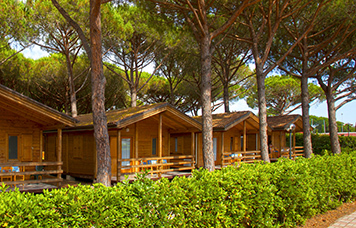 The Africa campsite and resort is situated in the shade of a centuries-old pine wood a few meters far from the beach. It offers accomodation in independent bungalows with furniture and air conditioning made up of a living room with kitchenette, 2 bedrooms, bathroom with shower, an equipped veranda and they can house in up to 5 people. 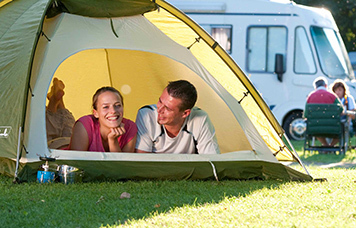 The campsite has also many camping areas (in the pine forest) with electricity connection and also a wide area provided with barbecue, toilets, showers and services. 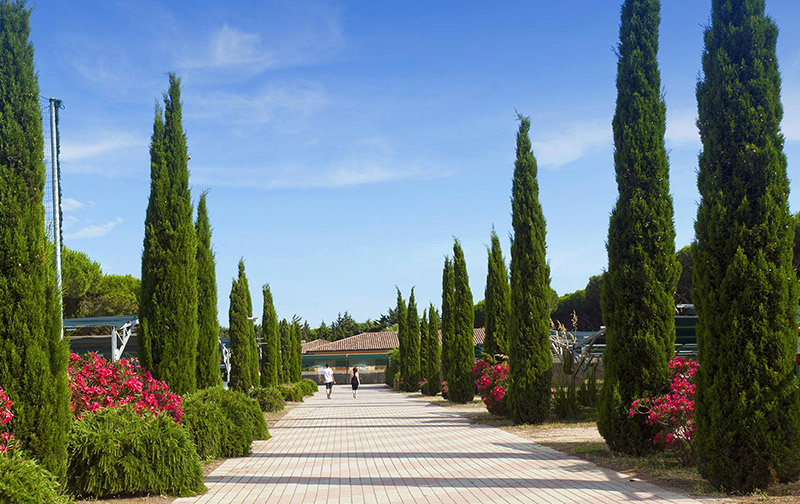 In the resort there are also recreation grounds for children, tennis court, futsal ground, bar, pizza-restaurant, supermarket and a wide parking. 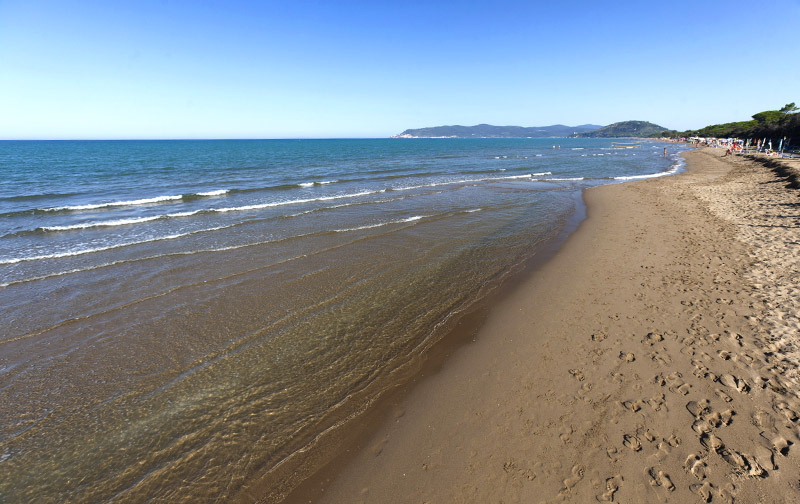 In the heart of the Maremma coastline where the sand is softer and the water is crystal clear and always lukewarm. To the West the profile of the Giglio Island stands out brightly behind the warm and never ending sunsets. The Maremma region unfolds to the East, generous with its small Campings castled over the hills, its abbeys and legends, giant and magical trees, inebriating wines and recipes handed down by genuine traditions. A treasure of rare beauty. A few kilometers from the Osa Spa Baths and from Saturnia.